Drafting a budget that includes all of your expenses is the first step to achieving your financial goals. Whether you want to purchase a boat or a home or to finance the long-desired dream to name-any-continent, a budget is your passport and a financial plan is your visa to any location around the world. To get the most from your budget, there are a number of tools available that can help you carve out a budget that comfortably fits your lifestyle. For one, the online personal loan calculator can do wonders for consumers looking to draft a budget toward reaching some goal. There are so many reasons the personal calculator can be useful in drafting a budget. In addition to spitting out figures quickly, the personal loan calculator can help you see around corners to avoid common mishaps that happen when allocating expenses. Let’s take a closer look at some of the benefits of using a personal loan calculator to carve out a budget. Depending on the type calculator, these handy dandy tools can solve a number of problems, including figuring out an appropriate loan amount. Based on the information you provide the calculator, it is a matter of plugging and chugging to generate an amount based on the factors you have given. For example, if you want to know how much money you can reasonably borrow at particular interest rate and length of time for a final amount including finance charge, the calculator will furnish a loan amount based on the information given. The personal calculator can also be used to determine the length of the loan based again on the figures provided. By plugging the final and principal amounts and the rate of interest, prospective borrowers can essentially get an idea of how long it should take to pay off the loan. This can be used in conjunction with figuring out how to allocate money for a monthly budget. The calculator can help you in determining interest, but more importantly, it allows you to play around with figures to better forecast what your rate would have to be for a certain loan payment. When budgeting for a loan, it helps to know what the interest will be simply because the interest determines the overall finance charge each month. With a personal loan calculator, you can approximate to the dollar what your payment might be each month. Furthermore, the interest can help you figure out just how much money you can afford to borrow based the total loan amount and any interest charges. The personal loan calculator can also be used to see where money can be saved. Using some version of the principal x rate x time formula, the calculator can help consumers compare loans with different variables to see how to best maximise their loan. Furthermore, the calculator can help determine whether the loan payment based on all variables is affordable. Saving can be difficult if you don't know where to start. 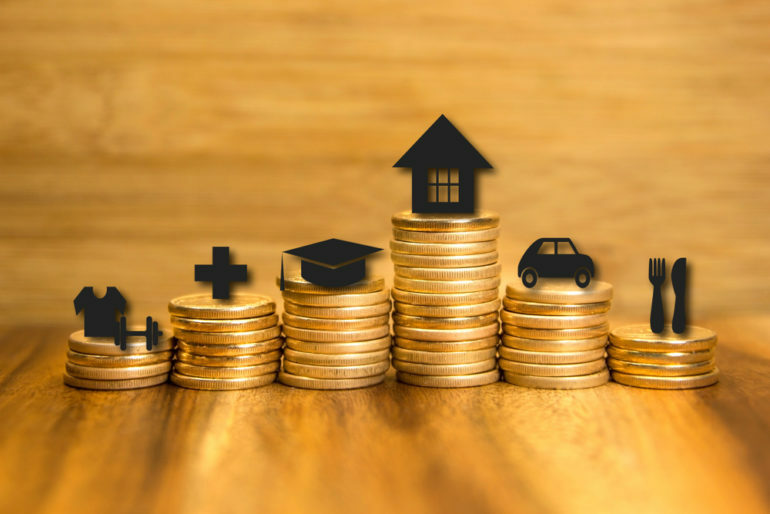 In this article we take a look at 9 small changes you can make to help you start saving for a big purchase or rainy day. The 50-30-20 rule applies to how funds should be allocated for budgeting. Fifty per cent of your income, after taxes, should be allocated to your necessities like housing, food, transportation, and insurance. Thirty per cent is related to the wants in your life such as entertainment, clothing, travel, and memberships. Then, the final twenty per cent is devoted to savings and debt. A personal calculator can help you quickly determine how much of the latter can be devoted to a loan. Personal loan calculators are a convenience, but in today’s economic climate where most consumers are borrowers at some point in their lives, these tools are very important. The personal loan calculator can spit out various figures. For budgeting, though, they can help simplify, and in some cases streamline, drafting a budget.